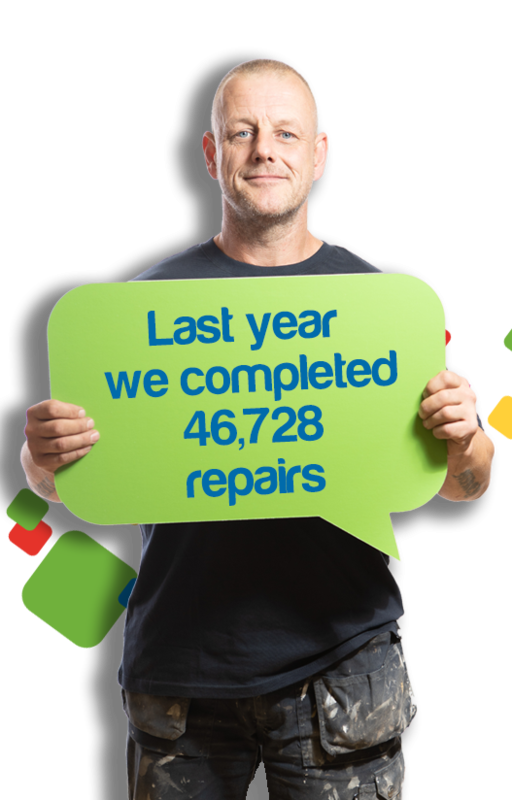 Last year we completed over 46,728 repairs to your homes and spent more than £18 million improving and maintaining your homes. We did this using Property Services, as well as external contractors. All of our properties meet or exceed the national Decent Homes Standard set by the Government. It is also important that we ensure that our properties are safe for you and your families to live in, therefore we carry out regular gas and electrical safety checks, and where needed, arrangements to deal with legionella and asbestos management and fire risk assessments. 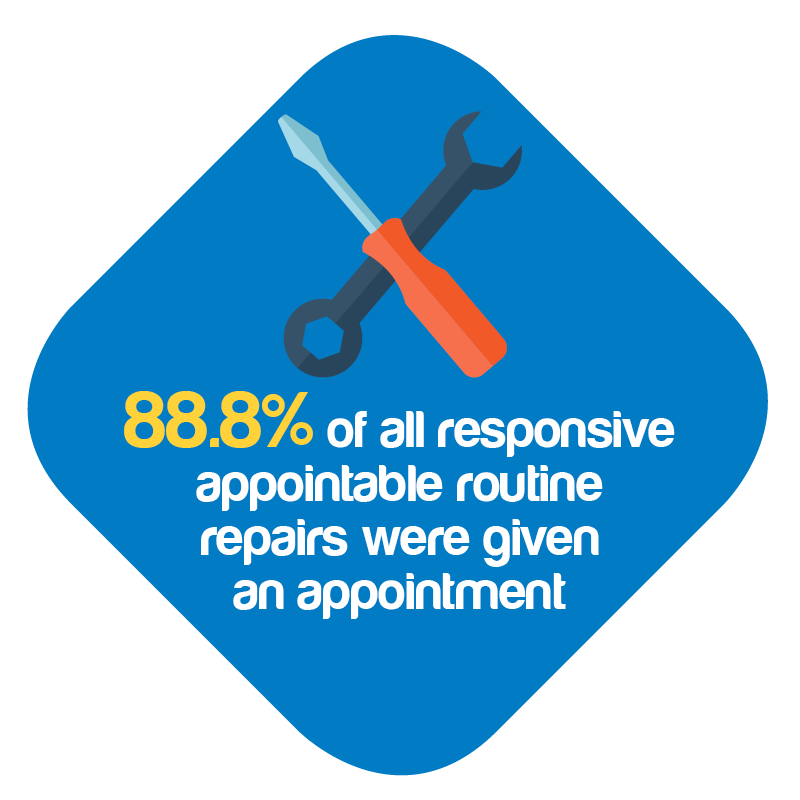 Last year 98.4% of tenants told us that they were satisfied with the repair service they received. We recognise that most people lead busy lives and want to know when we are going to carry out a repair and because of this we offer an appointment system for repairs completed by Property Services. We complete emergency repairs within 24 hours and we aim to complete non-emergency repairs within an average of 20 working days. 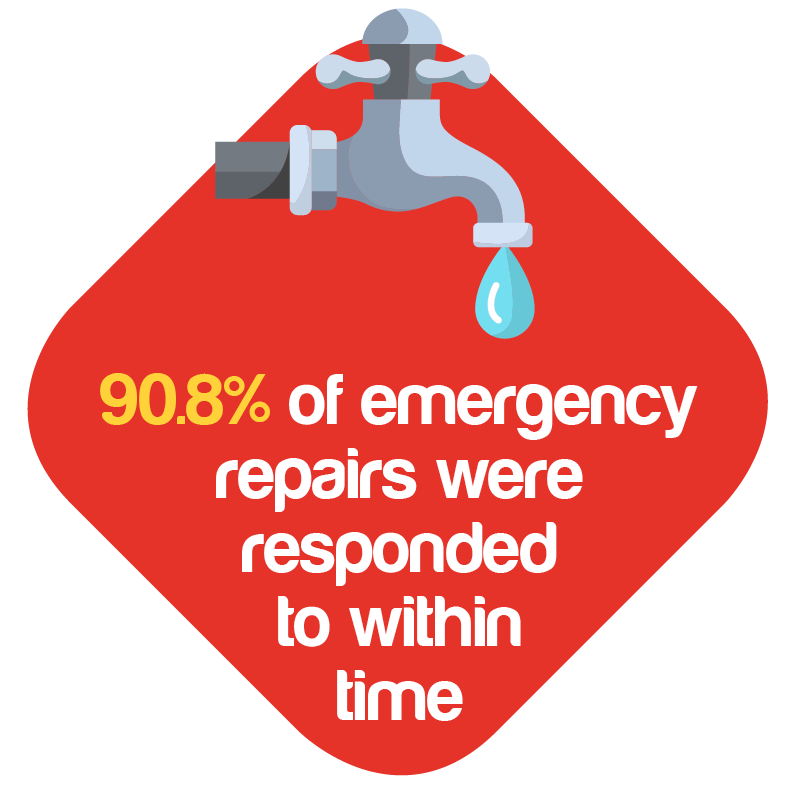 The average number of days taken to complete a responsive repair (including emergency and non-emergency) was 10.6 days (our target being 6.5 days).